The title speaks for itself! We now have newborn kittens living in one of our trees! My two year old cat, Lottie, had her second litter on Friday. Last year we easily found the kittens since she didn’t know where to go, but this year she came up with something a little bit trickier. I didn’t trust her with nesting in a proper place this year so I watched her throughout the day. Of course anytime I would leave to go anywhere that’s when she would leave for them. Finally my stalking paid off! She climbed the tree right around her feeding area and vanished into it. That came as a surprise! My dad helped me get the ladder so I could see if she really did give birth to them up there. 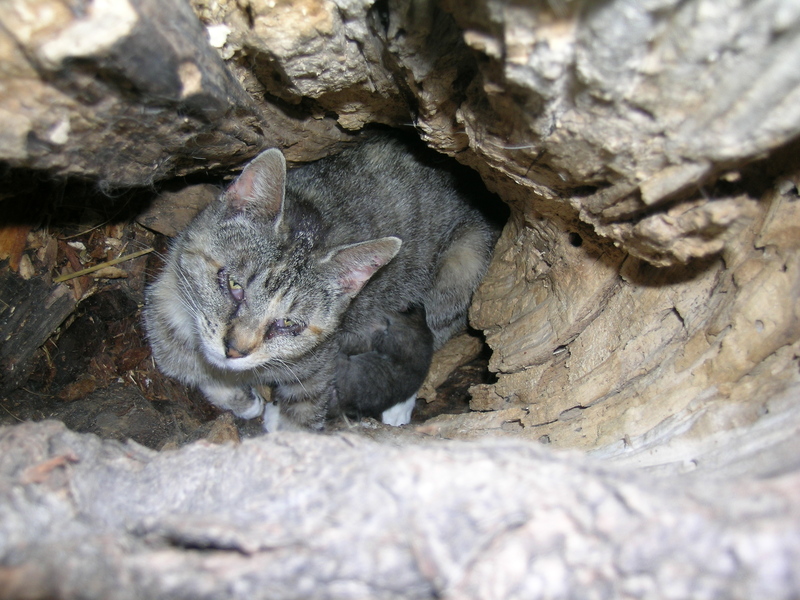 Sure enough there she was feeding her three kittens comfortably in an enclosed nook within the tree! She has always been a strange cat, but now I see how far her uniqueness goes!